Trick or Treat time is knocking on the door and you usually try to bring everything around you in conformity with the celebration atmosphere, even food and drinks! 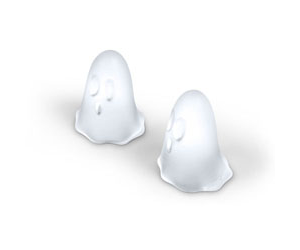 The Halloween Ghost Ice Tray and Gelatin Mold will help you make either ice ghosts to cool down your beverage or tasty gelatin spirits! All Hallows’ Eve will be a lot more fun with the Ghost Ice Tray and Gelatin Mold! Made of silicone rubber! Prepare for Halloween, check out our guaranteed awesome Halloween guide!